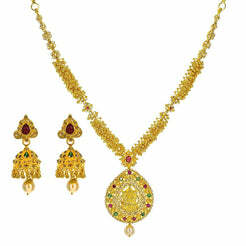 3.73CT Diamond Necklace and Earrings in 18K Yellow Gold W/ Double Diamond Frame Pendant for women. 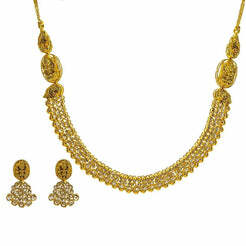 This feminine and refined necklace has matching earrings. 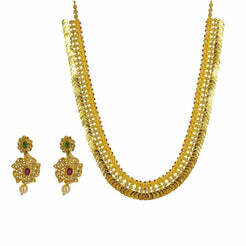 Gold weight is 17.7 grams.